North Korea: On Brink Of Starvation Or On Rise To ‘Strong And Prosperous Nation’? Recent media reports about North Korea in the world news seem to be unequivocal as they depict people who live off one meal a day and are forced to sell what is left of their belongings on semi-legal markets, living by the day; crop shortfalls due to long, cold winters and other shortages are reported as well as the loss of homes and belongings due to a record downpour and floods during the summer; and on top of it all, dramatic appeals are made by the UN World Food Program not to abandon North Korea’s starving population. This resulted in a prompt reaction by the European Union and Russia sending aid deliveries, with the United States and South Korea following their example shortly thereafter – the latter of which had previously isolated North Korea due to its possession of weapons of mass destruction and its aggressive policies towards South Korea in recent years. This reality contradicts the reality depicted by domestic news reports in North Korea and reports by the North Korea news agency KNCA. In the past three years, their reports have repeatedly announced North Korea’s rise to a strong and prosperous country (kangsong taekuk) which will have overcome economic difficulties of the past two decades by 2012, right on time for the “Eternal President” Kim Il-Sung’s 100th anniversary, the founder of the DPRK who died in 1994. Moreover, the reports claim that North Korea’s successful rise to a military power has paved the country’s way to economic prosperity. In this regard, North Korea is not only characterized by starvation and shortages, but also by several hundred thousand new apartments which are scheduled to be built in Pyongyang – and which were in fact partially built with the help of Chinese raw materials. North Korea is also allegedly characterized by modern Information Technology in industry (the so-called CNC computer numerical control technology, i.e. the use of computers in industry) and the set-up, or reactivation, of special economic zones at the border to China. It is North Korea’s ambitious goal to transform the special city of Rason, located in the golden triangle between China, Russia and Korea, into the “Singapore of the East”. Nevertheless, despite dramatic appeals to recognize the supposed threat of a famine, evidence of the current situation in North Korea reveals no fundamentally different situation than in preceding years. Although there is barely any official data and although data that is published has to be analyzed prudently, satellite technology and reports by organizations that have been active in the country for years give a relatively clear picture: North Korea’s economic situation in the past two decades has been generally bad and has deteriorated since 2008, when aid deliveries, including several hundred thousand tons of fertilizer and rice, which South Korea had been delivering to North Korea for years began to be gradually almost completely halted, therefore further aggravating the food shortage. Rising food prices on the world market have rendered commercial imports from China – which had always covered part of the food shortage in the country – more difficult. A cold winter led to large shortfalls during the winter harvest, but these shortfalls amount to only about ten percent of total harvest. This may have aggravated the difficult spring and summer periods in which almost all reserves are eaten up while the new harvest has not yet been gathered; however, a veritable famine has not been caused by that. This does not signify that there is no hunger in North Korea: the chronic malnutrition of large groups of the population is well documented. But the decisive summer harvest of last year was roughly the same as in the previous years. Similarly, the floods may have caused a lot of damage locally, but they have not fundamentally aggravated North Korea’s food shortage. And prospects for this year’s harvest are generally good. The paradox of the diametrically opposed perceptions of the situation in North Korea dissolves when looking separately at North Korean foreign and domestic policy goals. Externally, an increasing isolation from the world community since the outbreak of the second nuclear crisis in 2002, and in particular after 2008 with the inauguration of Lee Myung-Bak’s conservative government, has become a problem for North Korea. North Korea is forced to rely increasingly on its closest ally China economically. While China indeed has interests in North Korea’s stability, North Korea had to suffer concessions with respect to its policy options due to this increasing dependence. Confrontations with South Korea did not lead to a more lenient attitude as expected by North Korea and instead led to demands by the South Korean government for an apology for the torpedo attack and the rocket attack in 2010. Furthermore, according to some reports from North Korea, some of the architects of the country’s belligerent policy towards South Korea may even have been executed. During the Cold War, North Korea had followed a policy of “equidistance” between the Soviet Union and China, which allowed it to receive a maximum of aid deliveries from both countries. Moreover, in the aftermath of the fall of the Soviet Union, marked by a heavy famine since the beginning of the 1990s, North Korea had attempted to play off different donor countries against each other- often successfully so. North Korea’s miscalculation in intending to motivate the Obama administration in the United States to make further concessions by conducting a second nuclear test in May 2009 resulted in an equally strong rejecting attitude by South Korea, the United States and Japan and additionally increased coordination between allies which had previously been characterized by diverging goals, more than ever before. The current charm offensive, including through increasing contact with the United States and various calls for economic aid, serves to find at least a temporary solution to the isolation. Concomitantly, aid deliveries can be used in the next year for the occasion of regime founder Kim Il-Sung’s 100th birthday to distribute goods to the population via the state food distribution system (PDS), which has often failed for months in the previous decades or has only functioned provisionally. This is also relevant with respect to the installation into power of Kim Jong-Un, Kim Jong-Il’s youngest son, as his successor, which has been increasingly stepped up for the past two years. Incidents such as the assembly of over a hundred thousand people in Pyongyang for a speech that depicts an armed solution against South Korea as the only remaining option seem outright grotesque, while at the same time the “hard-line” government in South Korea grants new medicine and food aid while being talked into guilt trips by the oppositional Democratic Party. Internally, the national goal of becoming a “strong, prosperous country”, which was supposed to be accomplished by Kim Il-Sung’s 100th birthday, or at least in progress, according to weaker, more recent propaganda, is to be understood as the motivation for which the population has to make new concessions, while it is also to be understood as hope for change in the near future. Maoist-style labor campaigns (the “100 days campaign” and the “150 days campaign” in which all efforts were doubled) temporarily served real construction projects in Pyongyang unseen since the 1980s. A growing resignation with the economic system, especially since the failed currency reform of 2009 which dramatically accelerated inflation, as well as the obvious lack of enthusiasm concerning the succession of the ageing Kim Jong-Il despite the lack of information, compounded the necessity for economic prosperity; just as did the calls from South Korea in a “Grand Bargain” offer to North Korea to elevate its annual per capita income to 3000 USD upon the close-down of its nuclear program and the opening of the country, which is an incredibly high level of GDP per capita for North Korean citizens and would probably multiply the current per capita income. Furthermore, another problem North Korea is facing is the increasingly difficult separation of propaganda both internally and externally. Defectors, traders and foreign visitors are bringing in more and more information and the control of news influx into the country perished along with the toleration of markets and the introduction of new legal and illegal communication systems. Around 700,000 cell phone users in North Korea’s (official) Koryolink network can no longer effectively be controlled, and consequently, the core-periphery disparity gap of information is quickly closing. Kim Jong-Il’s journey to Russia and China in August 2011 has opened new diplomatic perspectives for North Korea. The prospective gas pipeline project from Russia to South Korea would not only be significantly lucrative, it is also a starting point for returning South Korea to the negotiating table, possibly without the need to satisfy South Korea’s demands for an apology for the sinking of the South Korea Cheonan navy corvette in which 46 sailors died, or the artillery attack on Yeonpyeong island during which four persons, including two civilians, died. In that sense, the trip was a smart strategic move; it also clearly demonstrated to the world the absolute ruler’s ability to act despite continuous health speculations since his stroke in 2008. The card of virtual starvation which North Korea has been playing has equally been played abroad. The distribution of food provides foreign humanitarian organizations with more funds and personnel. This is a welcome occasion for the United States and South Korea, just as it is for the European Union, to escape the dead end of confrontation. There may be good reasons for that, even if it should be clear that North Korea has strategic reasons for the current charm offensive to which no fundamentally different attitude for the opening of the country is linked. This is in view of regime stability and will be prevented as much as possible. Inevitable concessions and reforms can be retracted at any point, as the policy alterations from 2005 to 2009 demonstrated. It is particularly interesting that the failed currency reform of 2009, during which a great part of working capital of the newly emerging merchant class was confiscated via ceilings on money exchange, demonstrated the limits of state policy. In this regard, the coming year of 2012 will represent a great challenge for the North Korean regime once the promise to transform North Korea into a strong and prosperous country proves to be false. For neighboring countries, this will provide an opportunity for new political initiatives with respect to North Korea. These, however, should be prudently made. Now especially, there is a possibility to make aid offers and small but substantial changes in North Korea’s relations with its neighboring countries. This will prove to be a challenge for unification minister Ryu Woo-Ik in particular, whose nomination is depicted as a victory over his unpopular predecessor Hyun In-Taek by Pyongyang’s propaganda apparatus, whose principle-based North Korea policy had troubled the North Korean regime tremendously. Given the situation described above, there should be a multi-layered answer to the current strategic options vis-à-vis North Korea by South Korea and its Western allies and friends. At the core must be close cooperation and coordination of policies between South Korea, the United States and Japan and, though involved only to a lesser degree, other actors like the European Union and ASEAN. Time and again North Korea has achieved diplomatic advantages by using divisions among these actors. And coordination, in particular of the core actors, also includes a strong deterrent against any military provocations and atrocities as seen in 2010. The same is true for the internal policies of South Korea. North Korea’s “divide et impera” policy has already had successes, as recent policy initiatives by South Korea’s opposition parties in the run-up to the general elections and presidential elections in South Korea next year show, including the ultimately successful call for the resignation of unification minister Hyun. As the shock of the sinking of the Cheonan and the Yeonpyeong artillery shelling fades away, the opposition starts to blame the still freezing state of inter-Korean relations on the allegedly hostile policies of the Lee Myung-Bak government. This serves North Korea’s purposes well, but is a heavy legacy for any potential future left-wing government. A rerun of Sunshine Policy would only increase North Korea’s chances to survive without any substantial reforms. At the same time, new opportunities for peaceful contact should be used for new policy initiatives. These initiatives could be in the fields of mutual advantage for North Korea and South Korea, such as the afforestation projects proposed early on by the Lee Myung-Bak government. International initiatives could supplement these efforts, for example in the field of green development through aid with regard to the successful introduction of the Clean Development Mechanism in North Korea. This would bring a highly transparent international climate regime to North Korea, allow technical training in an important field, and have a great positive impact on living conditions, for example through rural energy projects. While allowing aid in the form of food-for-work in concrete projects (e.g. afforestation), it would not include indiscriminate sending of (more or less un-monitored, since un-monitorable) food aid. Last, but not least, all kind of training activities bringing North Koreans experience of the outside world and bringing knowledge into the country are invaluable to support change in the country. The window of opportunity which is opening is small, but it exists, and it should be used wisely, but without hesitation. 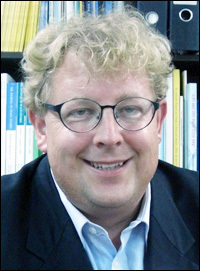 *Dr. Bernhard J. Seliger is resident representative of Hanns Seidel Foundation in Korea and a frequent visitor to North Korea. The author is also senior lecturer at the Institute of Research Into Culture and Economic Systems, University Witten/ Herdecke (Germany) and associate editor of the North Korean Review, the only American journal devoted to North Korean studies. In 2006 Dr. Seliger became honorary citizen of Seoul city.